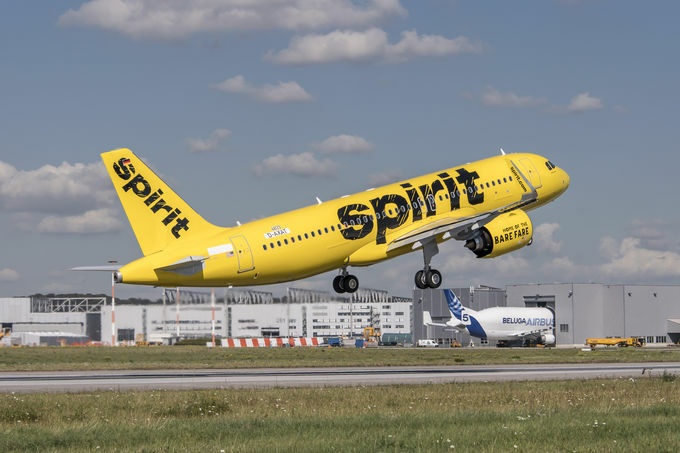 Spirit Airlines, headquartered in Miramar, Florida (U.S.), took delivery last Friday of the very first A320neo to be delivered to a U.S. customer. It is the first of 55 A320neo Family aircraft the low-cost carrier has ordered (five leased from AerCap, 50 ordered from Airbus). All of Spirit’s A320neo Family aircraft will be powered by Pratt & Whitney Pure Power PW1100-JM engines. An all-Airbus fleet helps Spirit maintain an efficient, streamlined operation, offering substantial benefits and consistency to the airline’s in-flight, technical operations and maintenance teams. The A320 Family also offers the most comfortable single-aisle cabin in the sky at a full seven inches wider than competing aircraft, allowing for 18”-wide seats in comfort economy as standard. The Airbus A320neo delivered today is the 89th aircraft to join Spirit’s growing fleet. The A320neo Family incorporates the very latest technologies including new generation engines and Sharklets, which together deliver more than 15 percent fuel savings from day one and 20 percent by 2020. With nearly 4,800 orders received from 87 customers since its launch in 2010, the A320neo Family has captured some 60 percent share of the market. Including Spirit’s A320neo delivered today, 26 A320neo aircraft have been delivered to nine operators.